This was a great story. 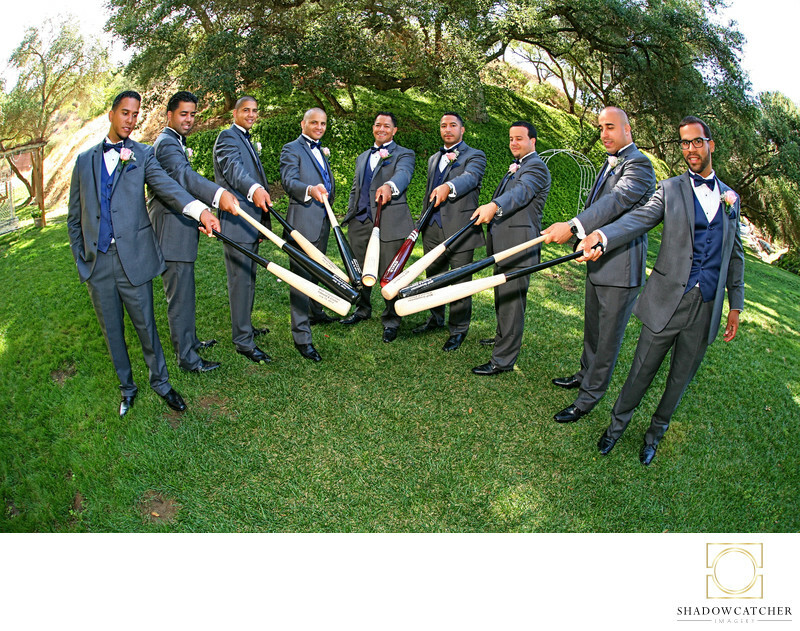 The groom and his men were all Little League teammates back in New York so his groomsmen gifts were custom made, engraved baseball bats! Some of his guys were local, but some came from their hometown of Brooklyn and its surrounds. A grouping like this can call for some creativity in posing and composition. I immediately thought of using a fish eye lens for the shot, with the arc of the guys emphasized by the distortion of the lens. Shot with a Canon 5D mkIII, Sigma 15mm f2.8 Fisheye and a Canon 580 EX II for a little fill.